There’s been a lot of buzz about Paperbark ever since it was first unveiled in 2015 by Paper House. It’s easy to understand where the hype comes from - it’s a beautiful watercolour tribute to Australian wildlife where you play as a curious wombat, and it’s nabbed a slew of awards between its debut and now. It started as a final year RMIT student project, and it’s come a long way from its humble beginnings. 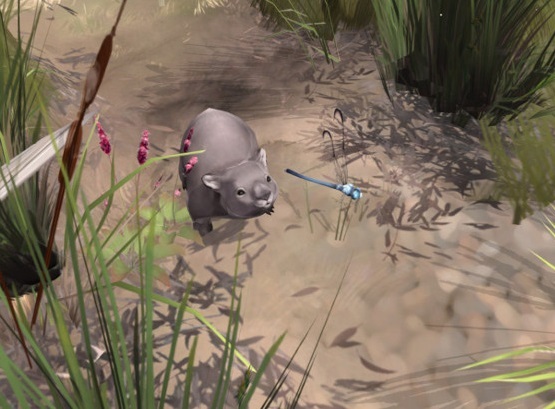 The Victorian government has backed this adorable project via investment funding, and it’s more than deserving; the artistry is sublime, and it sheds a light on a really underutilised setting in contemporary games. The very essence of the game’s aesthetic is wholeheartedly Australian, and it’s great to see that local voices are being amplified like this. Considering that plenty of games that veer off the beaten track still see combat as a compulsory element, being engaged through non-violent exploration in Paperbark is a nice point of difference. 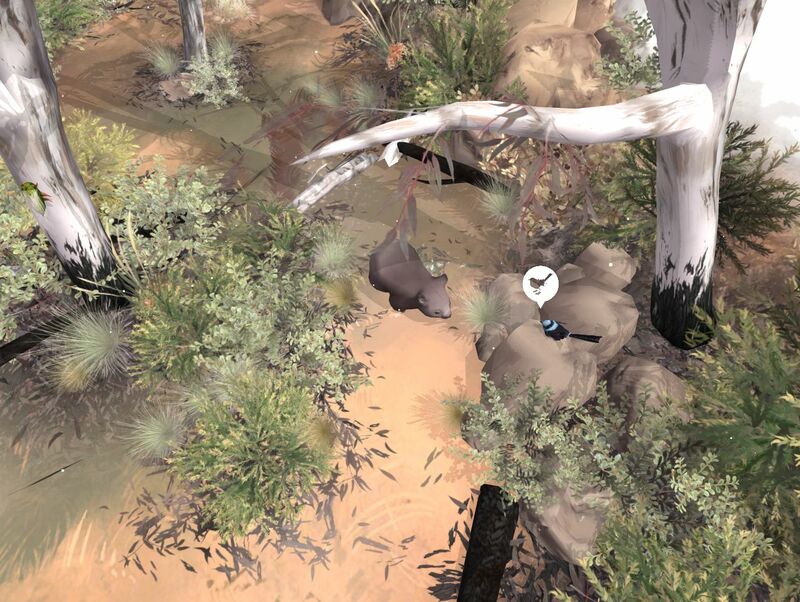 For this week’s fast five, we learn a little more about the lead designer behind this friendly wombat simulator and about how they think the Australian industry is chugging along. Ginny W: What are you working on at the moment, and how's it going? 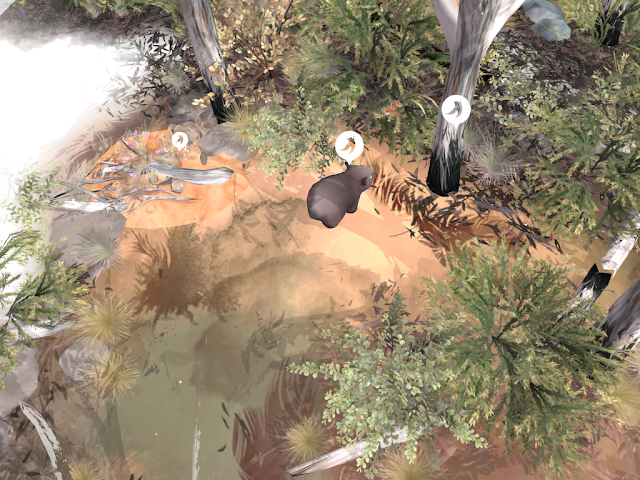 Terry B: I’m currently working on Paperbark. It’s going pretty well! I hope anyway! We’ve all been working our butts off for a while now and it’s sometimes hard to see how far you’ve come. We all love the project a lot, but it is a lot of work. Even though it’s a small game, there’s so much which needs to come together for it work and get completed. We also hold ourselves at a high quality so we tend to iterate a lot on our work to make it better. It’s getting done though! Ginny W: What do you think about the state of the Australian game development industry at the moment? Terry B: I feel like it’s in a bit of a transitional period. Well .. technically everything is in a transitional period, I just mean that it’s starting to grow up a bit and lose a bit of it’s humble indie innocence. Which I think is a good thing. There used to be two very distinct camps of ‘art games’ and ‘commercial games’. But we’re at a point now were a lot of these studios have been around long enough to be working on their second title, or have a commercial product out to bankroll their love project. So those lines are really starting to be blurred and I think the success of Gardens Between and Untitled Goose Game are a great example of this. It’s great because it means you don’t need to pick a side anymore. Ginny W: What recent game would you recommend to people at the moment, and why? Terry B: Ah! I should have a read all the questions before I answered this. Those two I mentioned above are worth checking out for sure. Honestly, any indie game in the spotlight is pretty damn good. It’s getting so competitive, so most of the recognised Indie titles are of a pretty high creative quality. Golf Story on Switch was a pretty weird pick up, but is strangely charming. I can’t really recommend any Triple AAA games, mainly because I’ve never had any hardware good enough to play any of them. I’m sure they’re real good but. I have recently gone back to Animal Crossing New Leaf, because Pocket Camp just wasn’t scratching that itch. Timeless classic! Ginny W: What's something you love about the general games industry at the moment, and what's something you wish would change? Terry B: One thing I absolutely love is how tight knit it is. There is a genuine sense of community and everyone typically rises to the occasion, which is a hard thing to find in people. We tend to be a bit obsessive though, which we all could ease up on. We also put a lot of pressure on each other to perform. This can be in a social or professional capacity and you see people really struggle with these pressures. I know I do. You can’t just be good at your job, but you need to be good at other people’s jobs and good a promoting yourself, the game and the company. Because a lot of these projects go for a long time and for the most part are pretty subjective, there’s a lot of validation that we tend to look for from our peers and I think this can be an unhealthy way to operate. I think the biggest issue with the industry at the moment, is that it is good at backing down to vocal groups. If my dog has been barking all day, I’m not going give it a treat to shut it up you know? There’s a difference to acknowledging something and rewarding it. That being said there are a lot of games coming out where the monetisation feel sneaky and I think some of these practices could be cleaned up a bit. Ginny W: Hatsune Miku; yes/no? Terry B: I had to look this up cause I had no idea what it was. But hell yeah, that clip of the live gig, where everyone had the glow sticks and were cheering that projection was wild. I would be there in a flash. It’s nice that we get to worship entirely fabricated idols. I think my only issue is that Hatsune Miku would be owned by a company and those motivations are generally not in our best interest. So I guess answering the question .. yes.